Excellent Location! Top floor! Steps away to the LRT, Sunterra Market, Starbucks, restaurants, the neighbourhood pub and more! 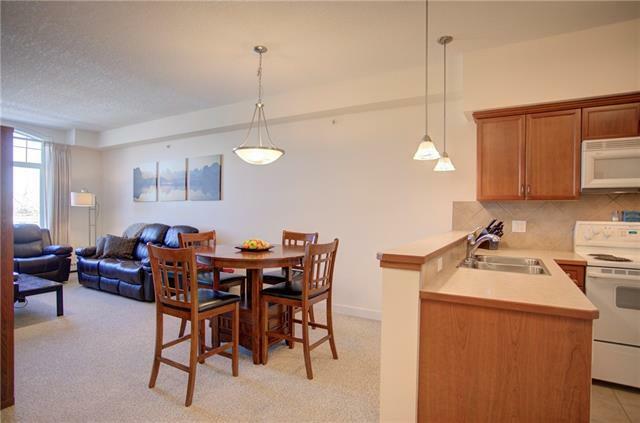 This thoughtfully planned 2 bedroom, 2 bathroom condo includes 9 ft ceilings! 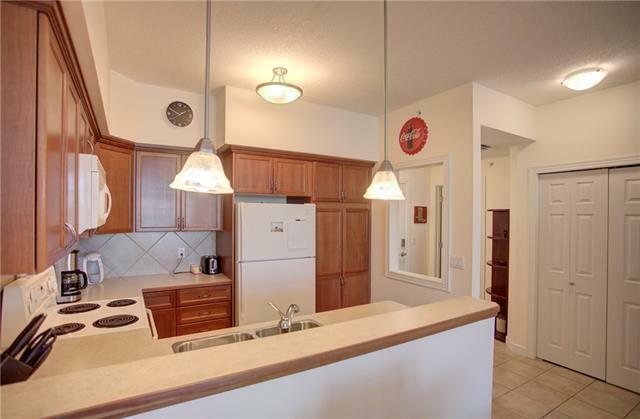 A functional kitchen boasts plenty of cupboard and counter space, and a raised breakfast bar. The cozy living room includes a gas burning fire place and access to a private deck. A generously sized Master Bedroom includes a walk in closet and a full ensuite! 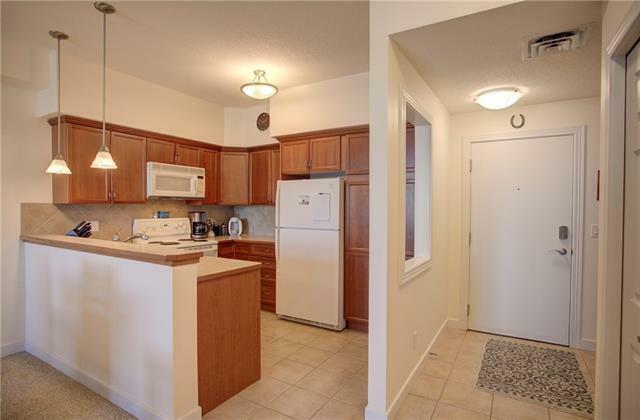 A nicely sized second bedroom is bright and enjoys a separate 3 piece bath. 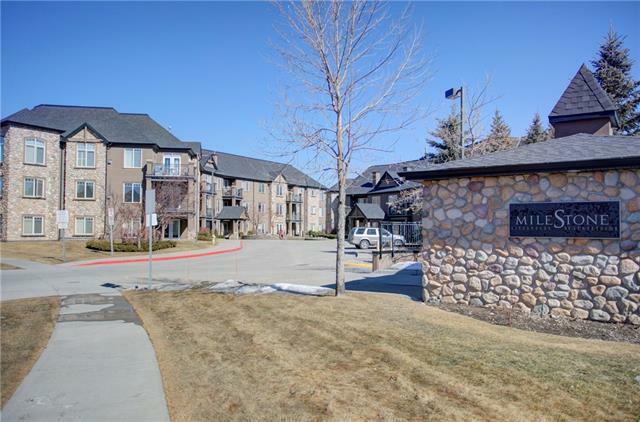 This unit includes 2 titled underground/heated parking stalls along with titled storage. Welcome to Milestone! Features Balcony Barbecue-Built-In Ceiling 9 Ft.